In 1940, David Sparsholt goes up to Oxford University. Charismatic and good-looking, he seems to have little awareness of the effect he has on others, not least on the lonely and romantic Evert Dax. As the Blitz rages fifty miles away in London, the university exists in a strange limbo, in which nightly blackouts conceal secret liaisons. Aware that they will soon be called up, David and Evert forge an unlikely friendship that will colour their lives - and those of their friends - for decades to come . . . 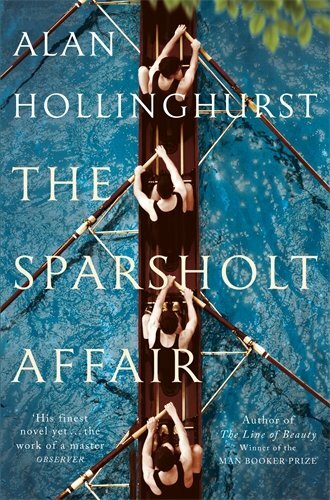 The Sparsholt Affair tells the story of a circle of friends and families, with David and Evert at their centre; we see their reputations rise and fall, watch as one becomes the subject of a national scandal, and follow the impact of such sensational events across the generations. Through this captivating human drama, Alan Hollinghurst explores the social, sexual and cultural revolutions that made the world we know today.